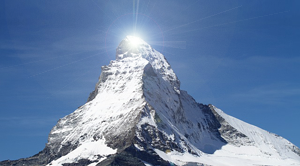 Endpoint Detection and Response (EDR) has become a Gartner buzzword. We point you to the kind of solution that will enable you to deliver it – profitably! EDR – Endpoint Detection and Response - is the acronym currently setting the security industry a-buzz. Industry analyst Gartner - who came up with the first EDR-type concept back in 2013 - has recently concluded that a more proactive alternative to simply attempting to block attacks is now needed, providing early detection, but also minimising dwell time and damage if an attack does indeed find a foothold. This is what EDR delivers. It can – in theory – help service providers, resellers and other IT companies to climb the value chain by adding a valuable new layer of protection to customers’ security infrastructure. But this is only worthwhile if the EDR solution is rapid to deploy, easy to use and manage, and profitable. EDR is certainly powerful – but is it viable? The challenge up until now has been that EDR solutions are, by their nature, typically very ‘noisy’, generating high volumes of superfluous alerts that then have to be manually sifted through. In practical terms, this can make them almost unusable. So, noisy, difficult to use, highly manual, costly to manage – does EDR really offer anything to move you up that customer value chain? The short answer is yes – because we’re now seeing smarter EDR solutions emerge that have already comprehensively overcome these shortcomings, taking a far less noisy and less manual operational approach that adds significant value both to what EDR delivers and how it delivers it. Take a solution like Bitdefender’s GravityZone EDR, for example. It has made it easy to add EDR to customers’ existing security infrastructure (thus increasing your revenues per customer), but with far less IT resource necessary on your part, and with vastly reduced management overheads. Rapid deployment – Cloud-based, up and running in hours, not days. Simplification – One agent to manage, not many. Ease of use - A single, unified management console to control everything. 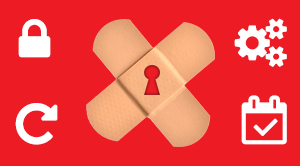 Automated response and repair – No need for manual intervention - identified threats are removed automatically. Artificial intelligence and machine learning – Reduces the management overhead caused by unnecessary noise; learns to identify false alarms and trivial threats, enabling the EDR layer to focus on the real and dangerous. Bitdefender calls this highly automated, intelligent approach to EDR ‘funnel-based’, and you can see immediately that it’s a clear departure from the existing noisy, manual EDR orthodoxy – and one that makes a much more attractive proposition to service providers, resellers and their customers alike. If we said customers’ demand for EDR is set to go stratospheric, we probably wouldn’t be exaggerating. 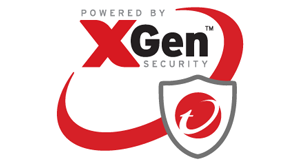 This in turn points to a market value – again, according to Gartner’s EDR estimates - of some $1.5 billion (£1.14 billion) – extremely plausible when you consider that, according to eSecurity Planet, only 40 million EDR endpoints are currently installed, compared to the estimated 711 million desktop, laptop and other devices that can use the software! And in this recent global EDR survey, 72% of respondents reported their teams already suffer ‘alert fatigue’ – strong evidence that the demand will ultimately be shaped by the availability of solutions like Bitdefender EDR that don’t fall into the ‘noisy and difficult to manage’ bracket. 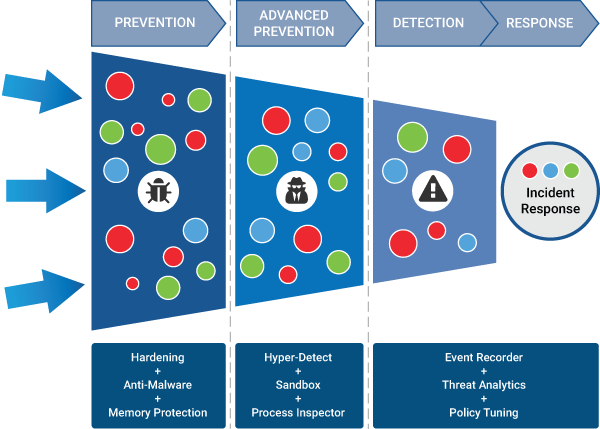 Posted in EDR, Endpoint Detection & Response, Endpoint Security. Tags: EDR, Security on 05/07/2018 by Mark Charleton. How would your customers feel if they had a Norse warrior stopping malware from reaching their endpoints? Meet Denmark’s Heimdal Security. In days of old, the sight of Vikings on the horizon was enough to turn decent peasants’ blood to ice. But the marauding Danes are now playing poacher-turned-gamekeeper – at least in IT security terms. This is what our newest vendor partner Heimdal Security sees as its killer battle cry when compared to traditional endpoint security. And here’s why malware needs to be very afraid of it. “Form square and stick out your spears” – that’s basically the traditional approach to endpoint protection. Once the problem has hit the machine, the security software rings the panic bell, musters the garrison, and mounts a defence. We Brits tried that against the (real) Vikings. It didn’t work. But if we could have spotted their boats as they cast off – or, even better, seen activity on the quayside that indicated an attack being prepared – we could have taken proactive action against them before they reached Blighty. This is exactly what Heimdal does. Instead of looking at application code and signatures in files that have already entered the endpoint, to work out if there’s a threat, it looks at the undercurrents in the ‘sea’ of network and internet traffic entering and leaving your customers’ businesses, to detect danger before it surfaces. Rather cleverly, though, this isn’t just about identifying when users are being taken to places they shouldn’t be sailing towards – e.g. malicious websites – and blocking the connection to them before it’s made (although this is certainly important, as we explore below). It’s also about using advanced machine-learning, heuristics and network forensics to detect apparently harmless network file ‘plankton’ that is in fact fodder for a coming malware attack. Traditional security protects an endpoint with a last-ditch defence. Heimdal protects it by turning the entire network into a shield wall. Which one are you betting your krone on? 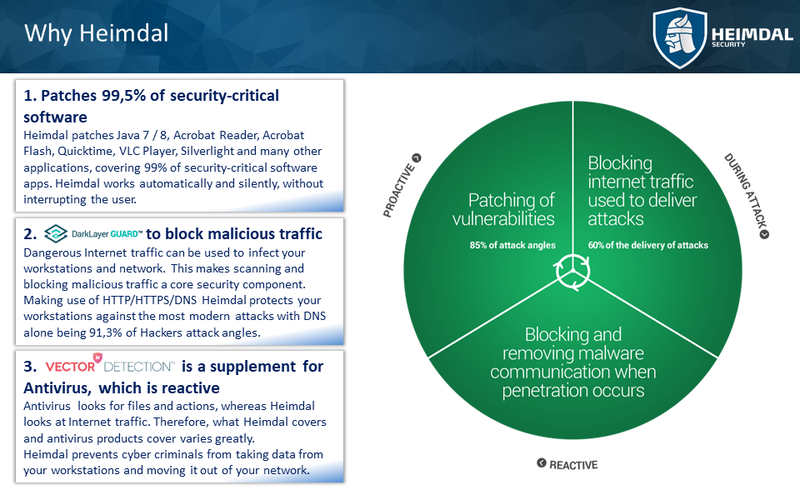 Conventional endpoint security is typically missing the traffic-based anti-malware protection that Heimdal delivers. The famous Danish beer ad is tongue in cheek. 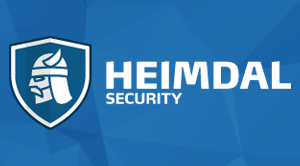 But there’s a serious point to be made here about the strains of malware that Heimdal can protect against that many other security solutions simply can’t. Take ransomware, for example. 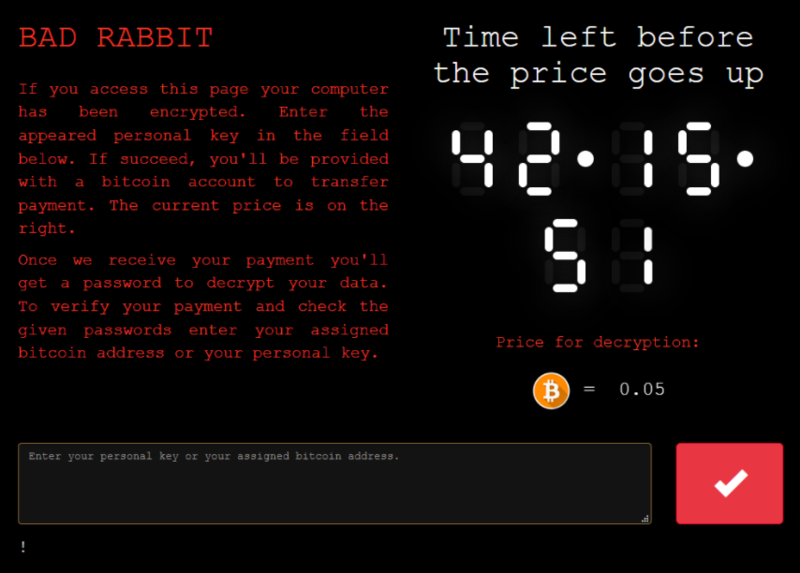 Traditional endpoint security looks for malicious code within files, but a ransomware-triggering hyperlink, or instruction to connect to a website, is neither a file nor, in itself, an inherently malicious piece of code. So, the endpoint security software doesn’t spot it. But Heimdal is looking at the network, not the endpoint. It detects and blocks the malicious connections (to malvertising, legitimate but compromised web banners, malicious iFrames and redirects, botnets etc.) that signal an intention to activate or propagate attack strains like APTs, ransomware, Trojans, polymorphic malware and others. In short, Heimdal gets stuck into the melee long before the blunt old endpoint battle-axe can! Automatic software updates: that’s 85% of web app attacks defeated! Exploit kits and other threats that exploit programs’ existing security weaknesses are a huge worry for traditional endpoint security vendors, because these weaknesses often exist at a lower level than that at which the security solutions operate. They’re a huge worry for your customers, too, given that some 85% of web app attacks (like the kind that typically trigger ransomware and steal personal financial data) take hold of endpoints through an existing unpatched security hole of this kind. But here, Heimdal have put a real edge on their sword. They have coupled their network traffic analysis with an automatic software update tool, to ensure that your customers’ internet-facing and non-internet-facing apps – from Acrobat to Audacity, Flash to Firefox, Java to Jitsi, and many others besides – are constantly and automatically updated with the latest security fixes and patches, thus denying exploit kits an entry point. The most security-critical applications are often those that are not concerned with security at all – how’s that for a typically innovative Scandinavian way of looking at a problem? Bloodthirsty or not, the Vikings gave their name to some very beneficial concepts. The word ‘law’ comes into English from their language, for example – and from where we’re sitting it looks like they’ve done it again with ‘Heimdal’! Time some of your customers learnt some Danish, perhaps? 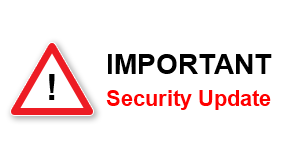 Posted in Endpoint Security, Heimdal Security, Ransomware. Tags: Security on 14/11/2017 by Mark Charleton. Failing to correctly configure your security solutions is one of the biggest risks to you and your customers. Security health checks can prevent it. So, you’ve got your customers’ security covered from all angles, right? Layered protection that shares security intelligence across applications. Endpoint security that spots malware traditional anti-virus solutions miss. Machine-learning that gets better and better at understanding threats. Belt and braces. But then you fail to configure it all correctly and your customers get hit anyway! Sceptical? Look at Amazon’s AWS solution, which has suffered a number of critical security and other misconfigurations, resulting in compromised user data. Read Gartner, who say that in 2017 misconfiguration will be the most common source of breaches in mobile applications. And take heed of the Infosec Institute, who place security misconfiguration right in the middle of the top ten cyber-risks in 2017. Whichever way you slice it, the evidence shows that even the cleverest solutions can be useless if they’re not set up correctly – but how do you go about making sure the security solutions you deliver don’t fall into this trap? The answer isn’t rocket science, but it is common sense. You get your car checked out regularly to ensure it’s running as it should, and to inform you of any action you need to take to keep it fit for purpose. Essentially, it’s a health check for your motor – and you can do exactly the same for the security solutions and services you deliver. But the even better news is that the security healthcheck is often far less disruptive and time-consuming than taking your car to the local garage.This is because the health check can often be performed by an engineer remotely, using the same web consoles you use to deliver and manage your security offerings every day. As the engineer finds configuration faults or errors, they document these in a report that includes recommendations for the actions you need to take to fix them. Who delivers security health checks, and what do they cover? Where and how you get your security health checks often depends on the support and services arrangements you have with the vendors of the security solutions you sell – although this is not the only way to access them. You could, for example, go through a specialist security software distributor who has vendor-accredited technical expertise in-house. This means you get vendor-quality product knowledge but through an organisation that is typically smaller, more agile and delivers a more personal service. 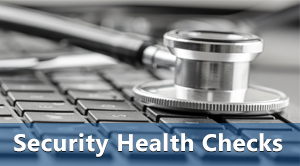 Security health checks; who fixes what’s not working? If you have technically proficient people in your organisation, they can of course take the recommendations of the health check report and act on them. But how does it work if you haven’t got the necessary technical resources? Again, think of your car: you have no hesitation in handing over your keys to a trusted specialist to carry out work you couldn’t. Depending on who you get your security health check services from, the same model is potentially available – hands-on, on-site corrective work, billed according to an agreed estimate of the time it takes to complete the job. “Prevention is better than cure”, runs the old adage – but when there’s no cure available, the need for prevention becomes even more urgent. Sadly, you can’t “cure” breach and theft of your customers’ data, for example – once the data’s been taken, it’s an irreversible action. And if it occurs because a solution you provide wasn’t set up correctly or hadn’t been kept up to date, the legal, reputational and financial consequences for your organisation – particularly under the imminent GDPR regulations – would be severe. But regular insight into the status of your security solutions and how they have (or haven’t) been applied can wrongfoot the risk before it trips you up. A healthier situation all round. Posted in Endpoint Security, Malware. Tags: health checks, Security on 16/10/2017 by Mark Charleton. Despite being one of the oldest internet scams, phishing continues to unleash mayhem in businesses. 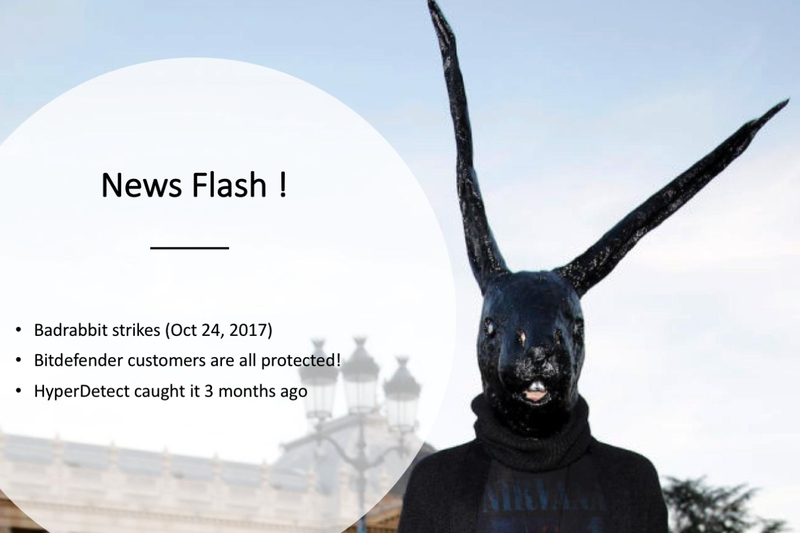 How can security partners protect customers against it? The oldest scam on the internet – phishing – is going from strength to strength. Indeed, the Anti-Phishing Working Group report published in February 2017 tells us that the number of unique phishing sites detected in the second quarter of last year was at an all-time high. The dreaded bogus links in incoming emails can trigger everything from banking fraud, to ransomware (the Locky attack was set off this way), to theft of Office 365 logins, as this phishing video shows. So what advice should security partners be offering to their end-users to help them mount an effective defence against this menace? Poor spam management is a recipe for heightened exposure to phishing risk, since spam email is often the ‘bread’ around the phishy ‘filling’. It sounds disgusting – but end-users are still swallowing it. In 2016, for example, 71% of ransomware was delivered via spam, making spam the most common attack vector. In fact, it’s even spawned a new term – malspam! Antispam filters, so that detection thresholds can be adjusted in response to users’ experience of how effectively spam is being caught. Connection to a global email and web reputation database, so that domains and identities associated with known malicious servers can be identified, and their IP addresses blocked. IP address behaviour analysis, so that potentially suspicious behaviours like dynamic or masked IP addresses can be detected. Document exploit detection to look beyond the email and into the attached files that malspam often makes use of to trigger an exploit. At its least harmful, spam is a distraction that leaves a bad taste in the business’s mouth. At worst, it carries a truly toxic payload. But at the risk of sounding like King Herod, one of the biggest threats in the phishing sphere comes from ‘newly-borns’ – malicious servers that simply haven’t been around long enough to make it onto any web or email reputation database, and so might not be detected. As this excellent summary explains, by mapping these factors automatically to known social engineering scenarios (i.e. the many ways in which users can be tricked into doing something they shouldn’t!) 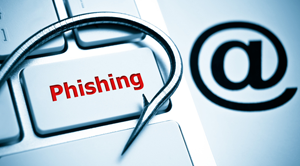 tell-tale signs of phishing intent can be detected, and the relevant IP addresses blocked. Needless to say, this process involves some pretty hefty probability calculations, and social engineering scenarios are changing all the time, so the system needs to be able to constantly learn from what it absorbs and update its assessments accordingly. Machine-learning is the key here, and if implemented effectively it can ensure that businesses’ anti-phishing protection doesn’t behave as if it were born yesterday! Security vendors are in this business to make money by selling software – but even they have been vocal about the need for businesses to educate their workforce to spot the signs of phishing, and take evasive action. Content like these Tips for mitigating phishing attacks, for example, is certainly helpful - but there is a realisation that hints, tips and instructions alone won’t change security culture within organisations. Instead, businesses must fuel constant internal security conversations using simple, accessible content, and they are looking to resellers and MSPs to deliver this to them, working through cyber-security awareness content partners. Phishing protection will never be 100% effective. But shouldn’t every business be wishing that whatever slips through the net (or should that be Net?) could be stopped by the ‘human firewall’? Posted in Antispam, Email Security, Malware, Ransomware. Tags: phishing, Security on 14/06/2017 by Mark Charleton. Read the latest helpful updates on ransomware and cloud security from our industry partners and contacts. We like to put our partner and media contacts to good use in helping you and your customers to understand the security landscape. This month, we bring you three helpful new updates – two guides to ransomware (and how to defeat it) and the other an interesting short article from Cloudworks on the benefits of cloud security for small and medium businesses. New from AppRiver, this guide is subtitled ‘Understand, Analyze and Protect’, and is a very readable resource covering what ransomware is, how it works, how it spreads, and the best practices and employee training that can help defend against it. 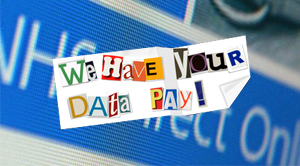 Another take on ransomware and how to combat it comes from security experts Malwarebytes, who major on the importance of endpoint security (keeping PCs and devices protected) in this informative and short PDF. Big servers, large infrastructure, lots of IT staff – these are all security components that SMEs just can’t afford! This is why they must look cloudward – and this article from Cloudworks describes the benefits of cloud security neatly. We’ll be back with more helpful advice soon! Posted in malwarebytes, Ransomware, Security. Tags: Cloud, Security on 18/05/2017 by Mark Charleton.